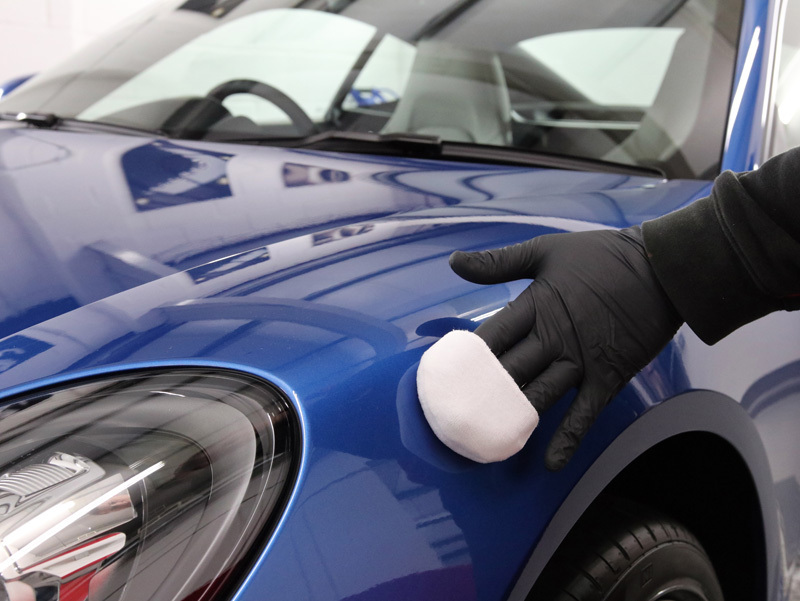 When it comes to protecting a new car, often only the paintwork is taken into consideration. After all, the paintwork is the most immediately obvious aspect of a vehicle. 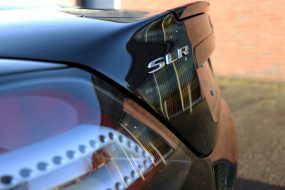 Increasingly, car owners are aware that poor wash techniques, contact with hedges and bushes, exposure to UV, environmental and industrial fallout and general wear and tear can soon make unprotected paintwork appear dull, scratched and covered in a myriad of hairline swirls. All of these detract from the clarity of the colour and the vibrancy of the sparkle of the metallic flake. Nanotechnology-based ceramic coatings provide an enhanced level of protection against these elements, providing a durable, swirl resistant surface virtually impervious to extremes of pH and resilient to the fading effects of solar radiation. Without question, having a New Car Protection Treatment for the paintwork makes a great deal of sense. However, paintwork is not the only substrate on a vehicle that benefits from a nano coat: alloy wheels, plastics, metals, fabric convertible roofs and rubber are all susceptible to many of the same harmful elements as paintwork. 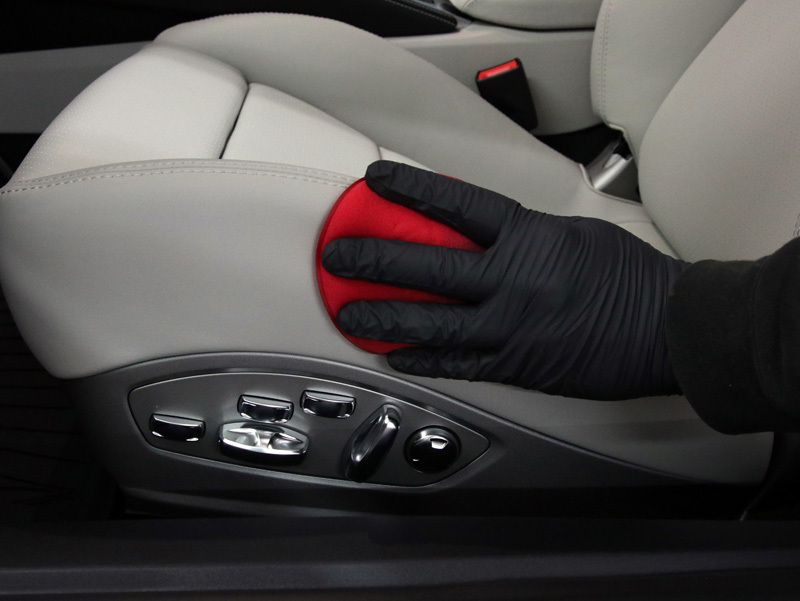 On the interior, leather, plastics and fabrics all can benefit from nano coatings, helping to truly maintain the new car in ‘as new’ condition for far longer than if these substrates are left unprotected. 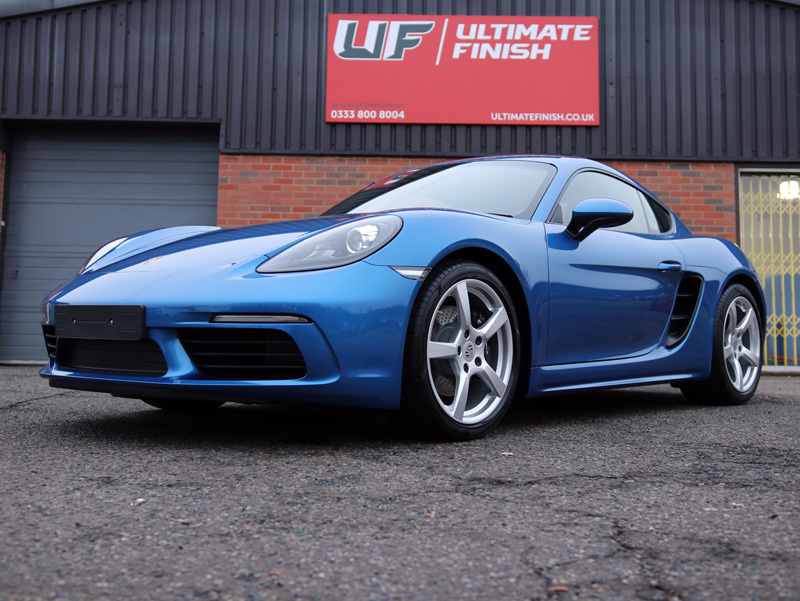 The owner of this brand new Porsche 718 Cayman was keen to give his car the best opportunity to retain its aesthetic appeal which has the added benefit of preserving its potential resale value. 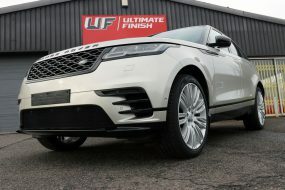 As a result, on purchasing the vehicle he arranged for it to be delivered by the supplying dealership direct to UF’s Detailing Studio at Brands Hatch for a New Car Protection Package to include the paintwork, alloy wheels, glass, and the leather interior. The Cayman is the so-called baby brother of the 911 delivering a pure and fun driving experience. Reimagined bumpers and skinny taillights have subtly altered the look of the new Cayman, bringing an enhanced fluidity to the lines. 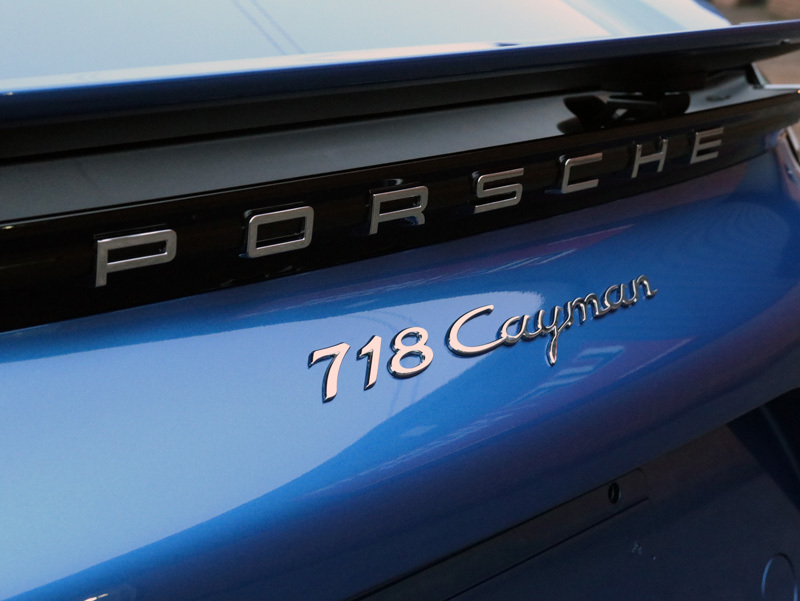 Mid-engined for perfect balance and with tweaked suspension and a steering rack based on that of the 911 Turbo, the new 718 features four cylinders as opposed to its 6-cylinder predecessor. 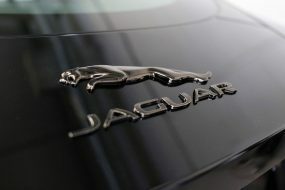 Turbo-charged, the 2-litre engine produces 300 horsepower and 280 lb-ft of torque. Rear wheel drive, the 718 is a car for winding roads and a driver who enjoys some entertainment on a daily basis. 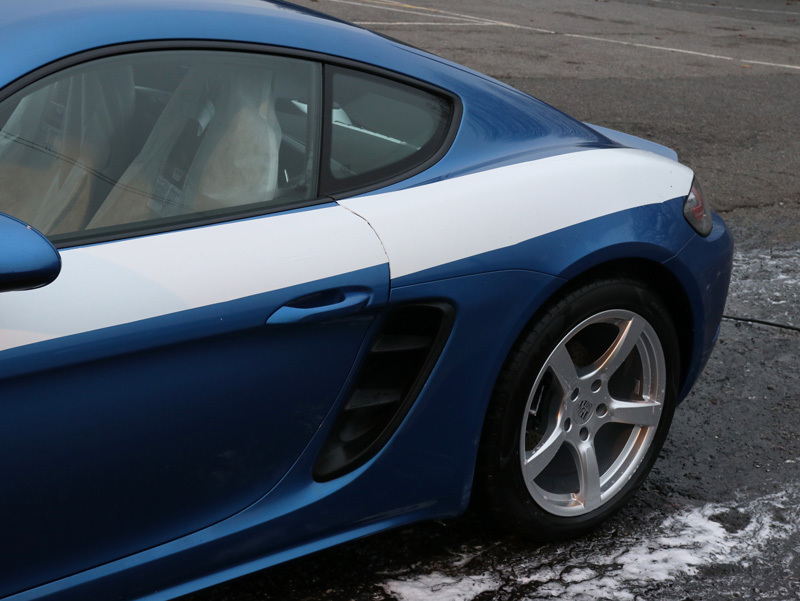 Prior to any protective coating being applied, the Cayman first required decontaminating and cleaning. Bring brand new, most of the protective transportation coverings were still in place. The first step was to carefully remove the protective film. Next, the wheels and arches were degreased using Gtechniq W5 Citrus All Purpose Cleaner. After jet washing away the grime, the bodywork was also treated with W5 to remove any greasy residues. The bodywork was then treated with Gtechniq W7 Tar & Glue Remover to ensure sticky deposits, including any residues from the transportation film were removed. Special attention was paid to the door shuts, where residues tend to linger, and to the lower sills where tar quickly accumulates. 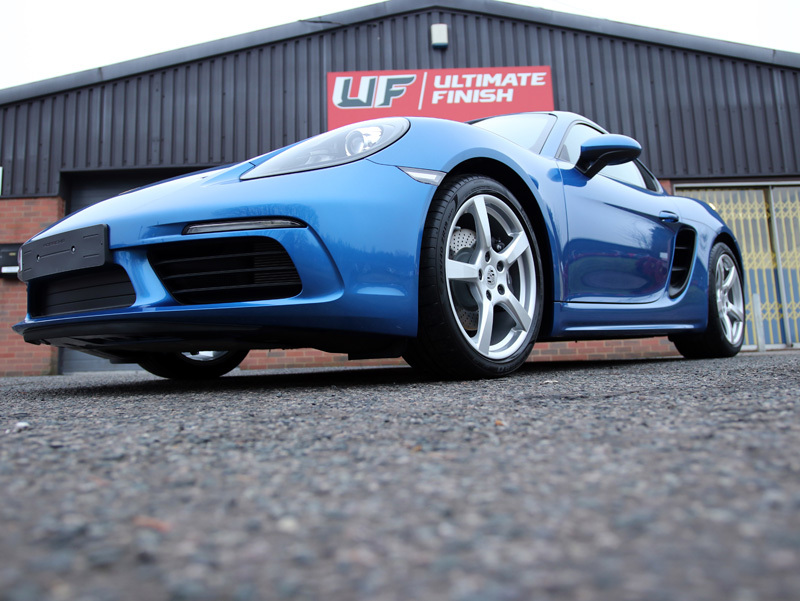 Finally, the Cayman was sprayed with Gtechniq W6 Iron Fallout Remover onto the bodywork and wheels to eliminate bonded ferrous contamination. 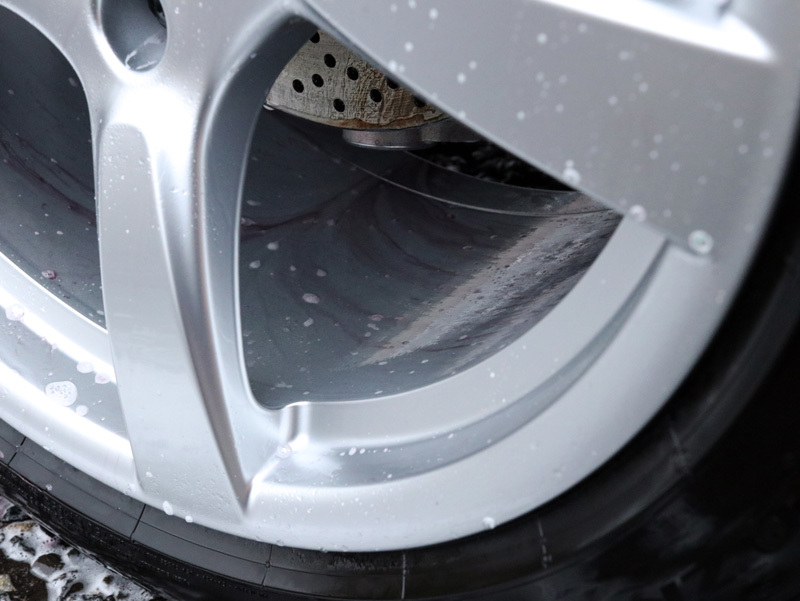 The final non-contact decontamination stage was to treat the bodywork and wheels with Ultimate Snow Foam, a high foaming pre-wash cleaner applied through a foam lance attached to a Kranzle K-1152 pressure washer. The thick lather clings, even to vertical surfaces for prolonged dwelling times, lifting larger particles of dirt and grit away and encapsulating them within the foam. This is all rinsed away with clean water. 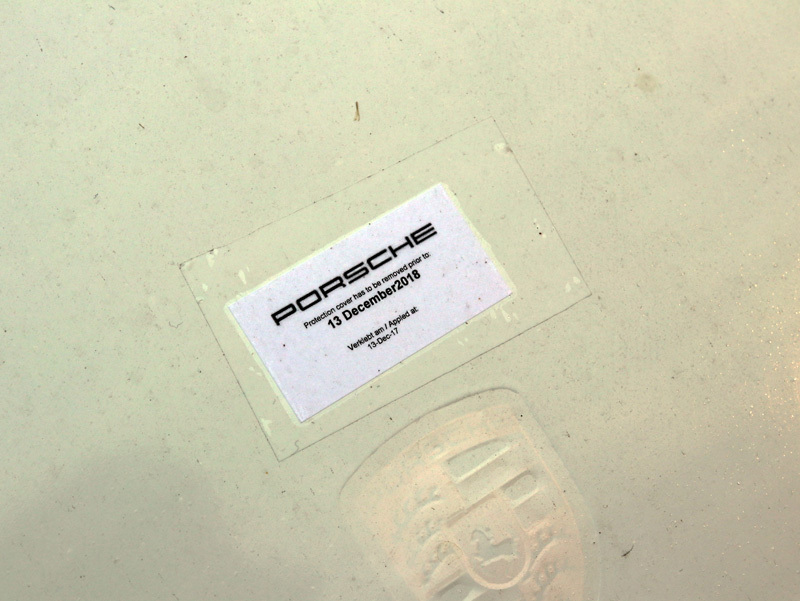 The Cayman was washed using the Two Bucket Method. Once the suds were rinsed away, an Aqua Gleam De-ionising filter was attached in-line with the water supply to deliver a final, pure water rinse. 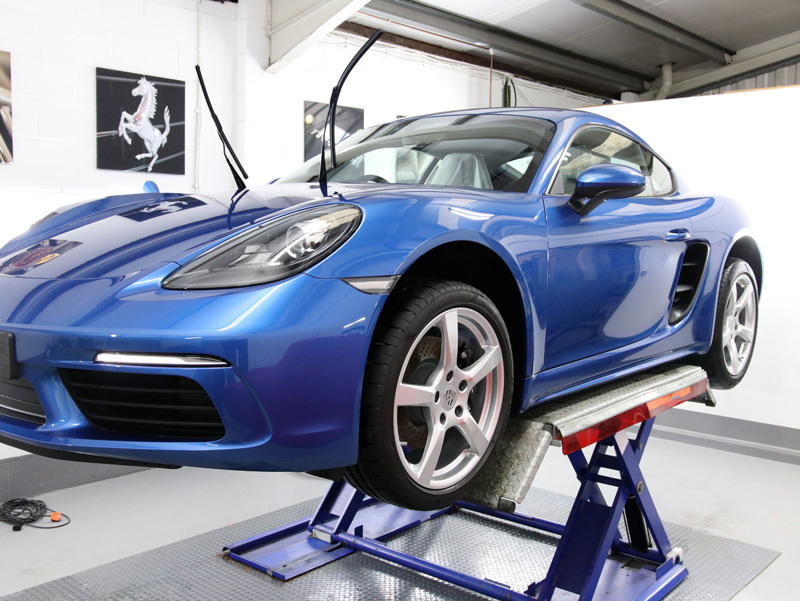 The Cayman was brought into the detailing studio and dried using a BigBoi touchless car dryer. The powerful system directs a jet of warm, filtered air to chase water away from the panels and out from behind areas that trap droplets, such as around grilles, badges and door mirror housings. 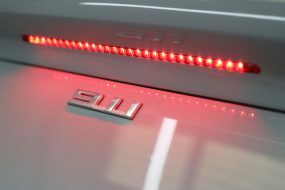 The paintwork was inspected using SCANGRIP high-intensity lighting to reveal any blemishes. 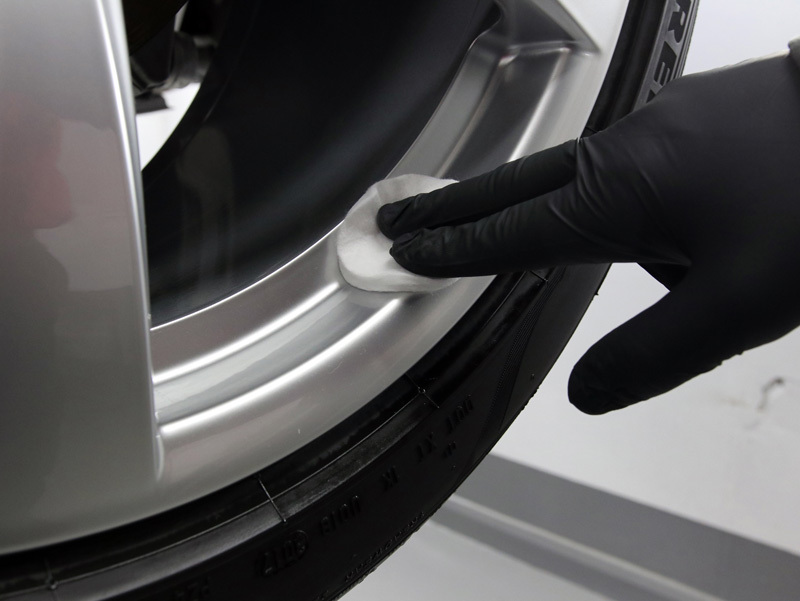 Nano coatings are designed to seal the clearcoat, so any damage is trapped beneath. Subsequent machine polishing to remove these blemishes will also remove the coating, therefore damage must be addressed prior to the coating being applied. 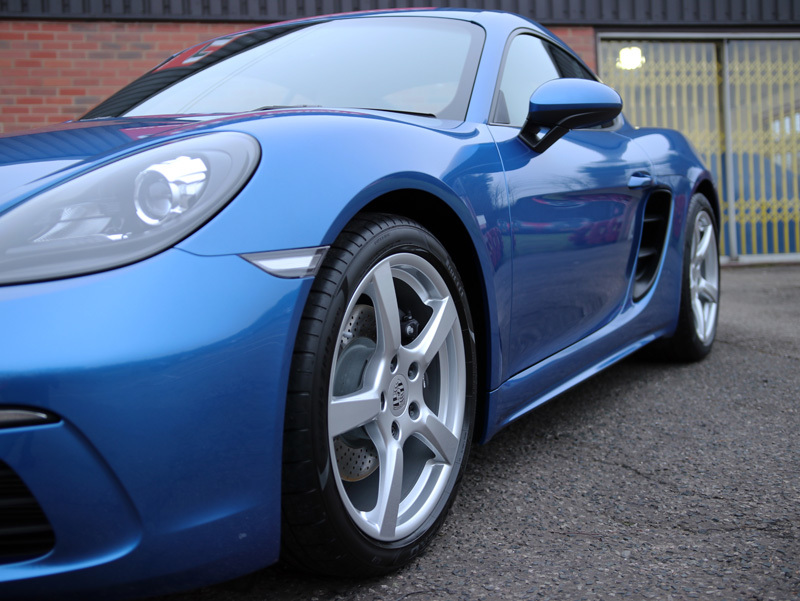 As this Cayman had been delivered untouched, and as Porsche paintwork is typically quite hard, the finish was excellent. Once polished by hand with POLISH ANGEL Escalate a light jewelling polish, ensuring maximum depth of shine from the metallic flake, the bodywork and wheels were sprayed with Gtechniq Panel Wipe to prepare the surfaces for coating. 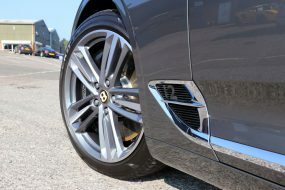 As the owner had upgraded to Gtechniq Crystal Serum Ultra topped with a layer of Gtechniq EXO v3 Ultra Durable Hydrophobic Coating, a dual-layer combination referred to as CS Black. Crystal Serum Ultra is a highly innovative coating fully exploiting the benefits of nanotechnology. At the nano scale, molecules are inherently tougher as the surface area to volume ratio is significantly increased. Crystal Serum is applied as a single layer but as it hardens, it cures into two distinct layers with different properties. The lower layer cures to hardness of around 7H (on the pencil scale). This provides flexibility to the coating, the better to flex with impact. The upper layer cures to around 9H, giving a tough shell better able to withstand being marked. The combined effect is a tough protective coating that flexes and resists wash swirls. Additionally, Crystal Serum is unaffected by extremes of pH, so will not be degraded by industrial fallout. EXO v3 adds a layer of slickness for an enhanced hydrophobic result. Rainwater and waterborne contamination beads away from the treated surface rather than linger and adhere. The result is a glossy surface that remains cleaner for longer. Remaining dirt particles are easier to dislodge during the weekly wash so vigorous rubbing with a mitt isn’t required. 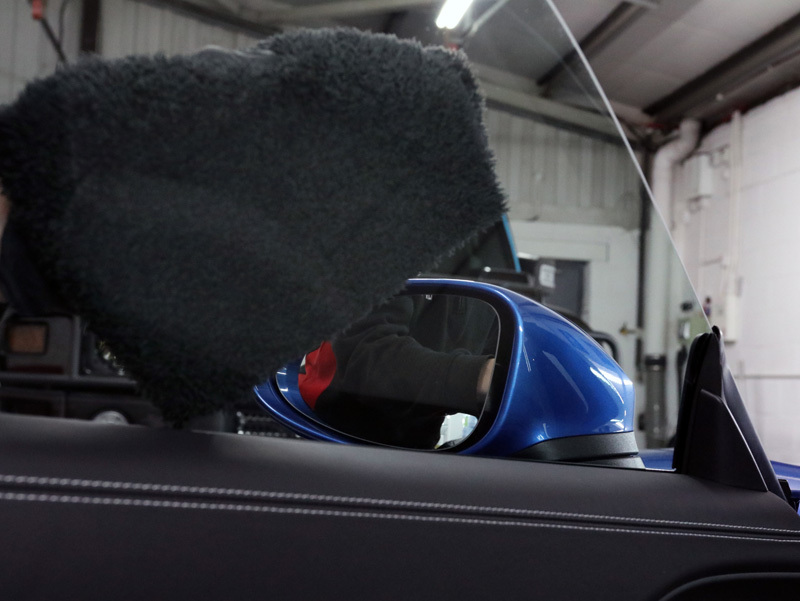 This too helps keep the paintwork swirl-free and looking ‘as new’ for longer. 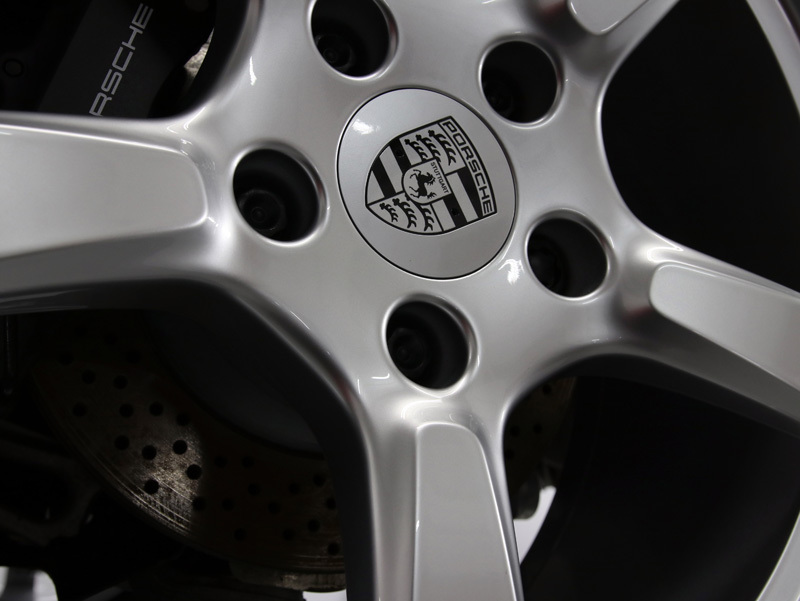 The wheels and calipers were wiped with Panel Wipe before being protected with Gtechniq C5 Alloy Wheel Armour. Naturally heat resistant, C5 can withstand the extreme temperatures wheels and calipers reach, and rather than degrade C5 provides continuous protection from oils, dirt and brake dust accumulation. Treated surfaces are easier to maintain and contamination can be easily washed away without the need for using astringent wheel cleaners. Driving during inclement weather can be tiring and dirt build-up on windows can rapidly degrade the efficiency of windscreen wipers. To combat this issue, Gtechniq G1 ClearVision Smart Glass was applied to the windscreen to provide a hydrophobic barrier. Rainwater and contamination are encouraged to bead and blow away, even when driving at relatively low speeds. Windows remain clearer for longer making lighter work of heavy rain for hard working window wipers! 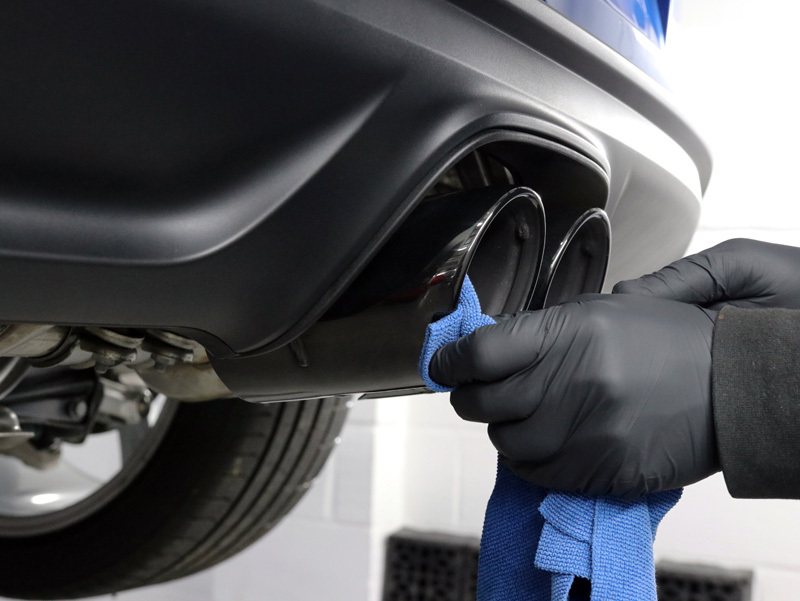 The exhaust tips were first polished using Britemax Easy Cut Metal Polish before being protected with Final Shine Metal Sealant. This helps prevent the build-up of soot which discolours the metal, and helps prevent oxidation and rust spots. Whilst the exterior coatings were curing, the leather interior was cleaned using Colourlock Mild Leather Cleaner. This is a light foam which is worked into the leather grain to lift out any dirt or oils without drying out the material. 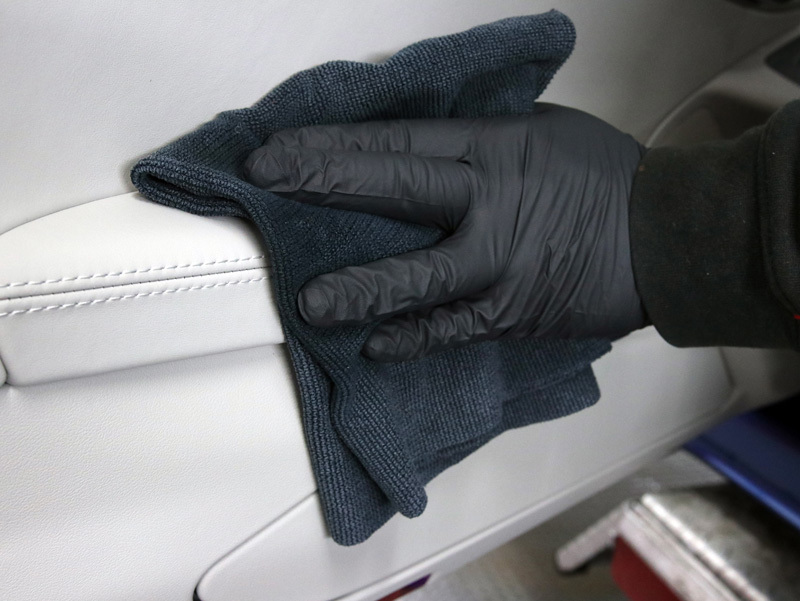 The foam is wiped away with a clean microfibre before the leather is protected, in this instance with Gtechniq L1-AB Leather Guard. This provides a dust repelling, abrasion resistant barrier without leaving a slick, sticky or glossy finish. L1-AB contains UV inhibitors to help prevent discolouration of the leather from exposure to the sun. ‘AB’ denotes an antibacterial function, helping prevent the build-up of germs which may cause unpleasant smells within the cabin. 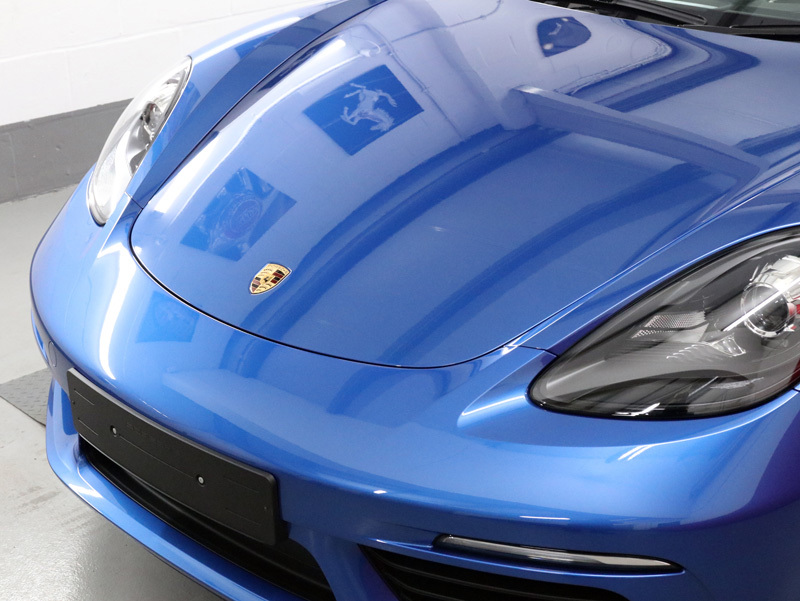 The New Car Protection Package now complete, the Cayman’s Sapphire Blue metallic paintwork looked amazing. With each substrate having been protected too, the whole car will remain looking as good as new for many years to come – come rain or shine! UF Detailing Studio – Award Winning Detailing. Call 0333 800 8004 to discuss your requirements or complete the online enquiry form here to receive a bespoke no-obligation quotation by email.